If the factory speed limiter is hampering performance at the top end of the track, install a BD Speed Eliminator. 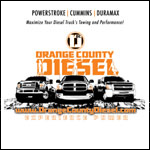 The BD-1057650 Diesel Top Speed Eliminator 2000.5-2003 Dodge 5.9L Cummins Increases top speed to over 130 mph! 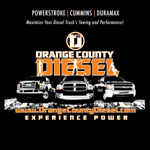 OC DIESEL offers Professional BD Power BD-1057650 Installation.